Facebook is the most popular social networking site on the Internet. Facebook is the biggest social network out there and it’s where your prospects, customers, friends and family are. Not only will Facebook help you find specific people, it also allows you to target these people. One of the greatest strategies a lot of successful businesses use when it comes to social media and Facebook in particular is developing engagement with their fans and then move these people from social to your email list. You can create a Fan Page for your business and have your clients like you on Facebook. This means that when you post information on your facebook page all of your fans will receive your message. There are no spam filters to worry about like email. If the fan like your message they may forward it on to all of their friends and you message really starts to be heard. To get the maximum benefit from this type of marketing your content (the information that you post) needs to be great. The more interesting or quirky the higher the likelihood of the message being spread. Exposure By Design can help you to design and implement targeted campaigns designed to grow your fan base as well as drive customers to your business. Facebook is all about the “buzz”, what’s hot now is what people talk about. There are many ways to drive engagement through your Facebook fan page. These can include give aways and competitions, and simply just great content. Exposure By Design will help you to determine the best way to go with reaching the target audience as well as running extended campaigns. Facebook offers unique targeting benefits that search engines don’t. You can advertise to a very particular segment of people by determining the relevant demographics and social preferences. If you want to get your head around this awesome Social Media platform, contact us to arrange a discussion about how your business may benefit from incorporating Social Media strategies into your marketing. 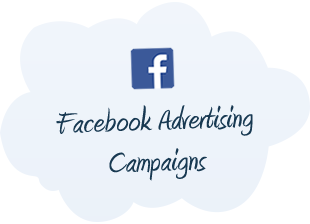 Ready to talk about how we can help with your Facebook Marketing project?